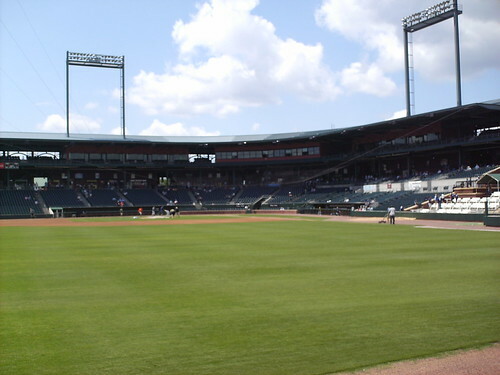 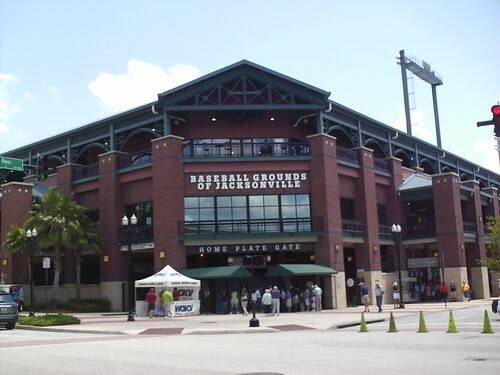 The view from behind home plate at Bragan Field. 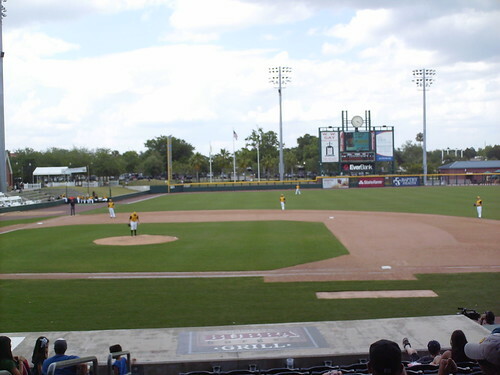 The grandstand at the Baseball Grounds. 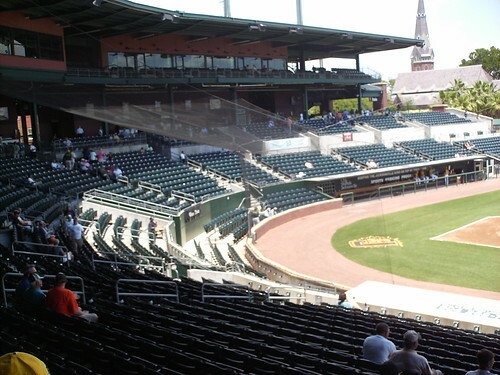 The seating bowl. 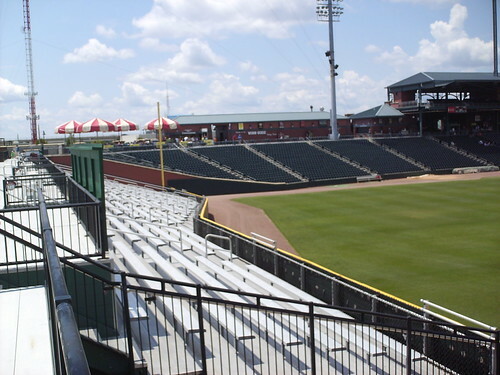 Suites on the upper level, and box seats behind home plate, separated by the main seating area. 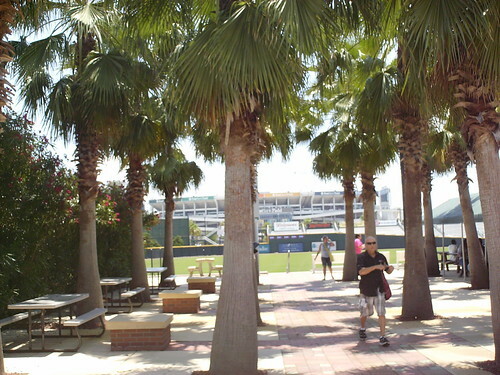 Palm trees on the concourse provide shade from the Florida sun. 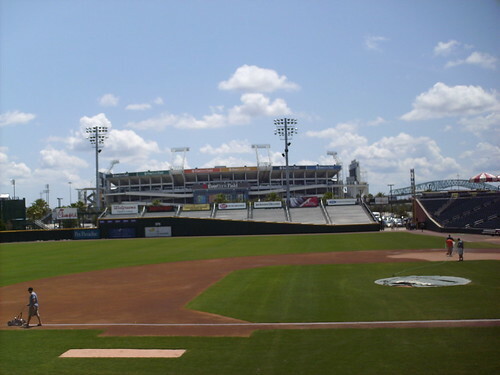 A large bridge spanning the river is visible from inside the ballpark. 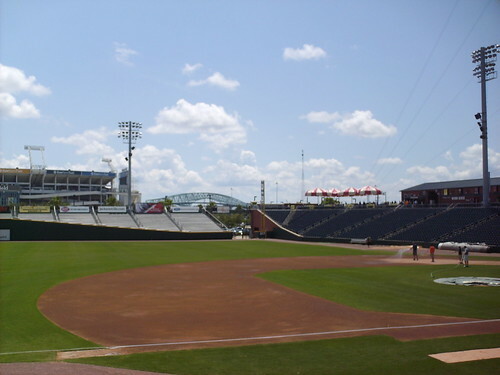 The outfield berm curves out into the left field corner, creating a unique bend to the outfield wall. 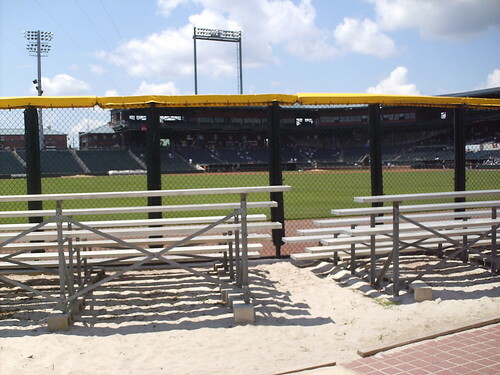 Bleachers on the beach behind the fence in center field. 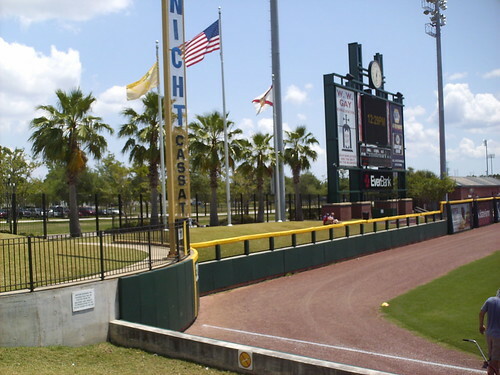 The wall at the outfield bleachers rises gradually as it moves from right field to center. 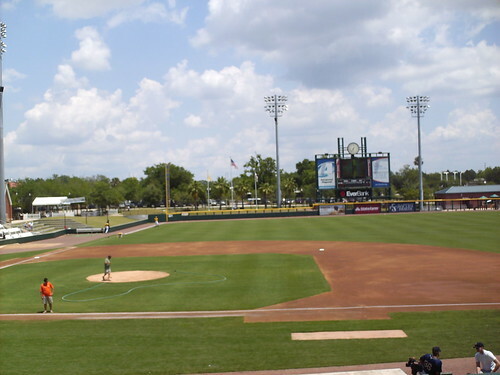 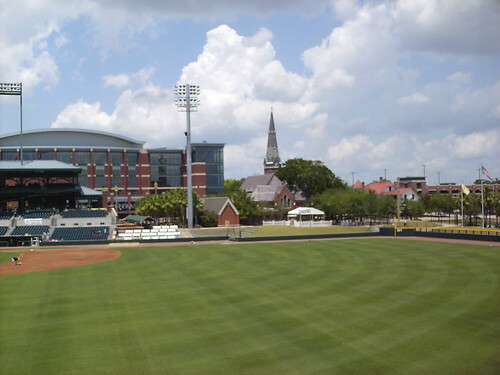 The historic St. Mary's church and the Jacksonville Arena stand behind the third base side of the park. 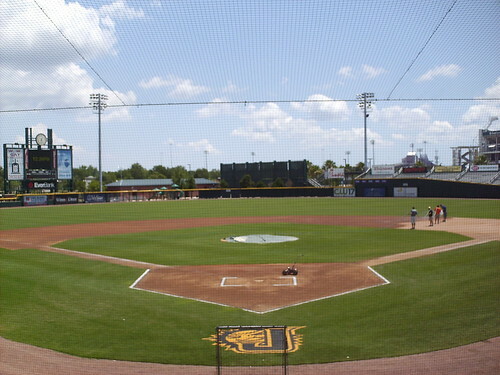 The Jacksonville Suns on the field at Bragan Field.